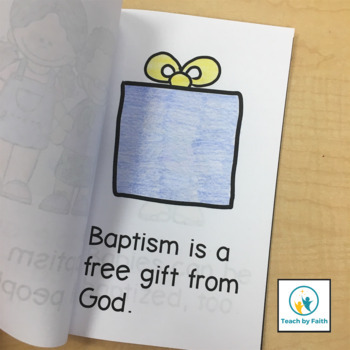 Help your students learn about baptism with this easy to read text! 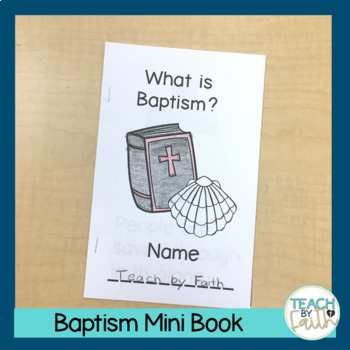 The baptism mini book includes a cover and seven informational pages. It is a great visual representation of the meaning of baptism. It presents key information that is essential for the comprehension of baptism. Students will enrich their reading skills as well. Children will build self-confidence in their reading skills. The books are easy to hold for young readers. They can read them many times for comprehension and practice retelling skills. 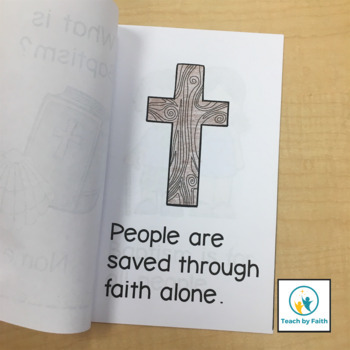 They can take them home to share faith lessons with their families.